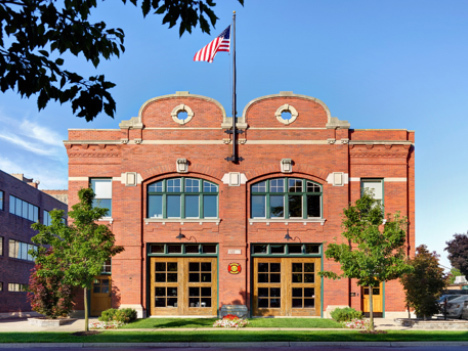 PARTNERS won the competition with its historic preservation of the 1909 Mount Clemens Fire House, also known as 65 Market Street, and conversion of the architecturally significant structure into its home offices. The awarded task: The two story, 8,400 square foot brick building was primarily vacant for over 12 years. 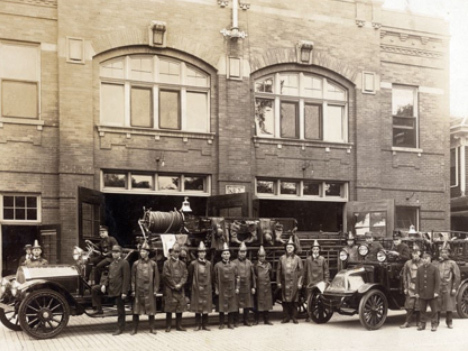 The Mount Clemens Fire Department stopped using the building in the late 1950’s, then it was used as a community center as well as an office center for the last 40 years. Unfortunately, during this time the site was neglected and determined an obsolete building with its outstanding architectural character dismissed. 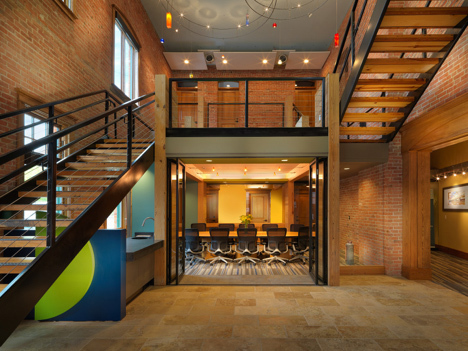 At the onset of the project, PARTNERS’ mission was to restore the building back to its original character with sustainable design strategies for the proposed improvements. The project was a Brownfield Redevelopment and entailed revitalizing the exterior with restoration of the existing wooden window frames, installation of insulated units, masonry restoration, entrance door and carriage house door replacements to match the original doors from 1909 as well as surrounding site work. All of the previous interior improvements were not in character of the original building thus they were all removed. 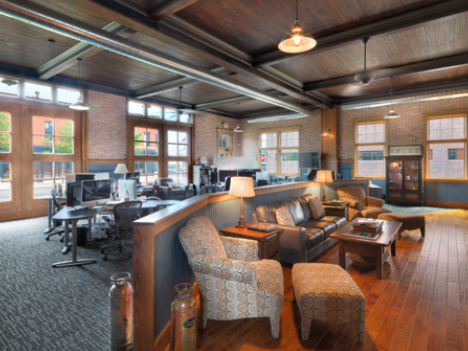 The interior was revitalized exposing gems such as the beautiful original oak window surrounds, wood bead board and tin decorative ceilings and unique brick walls. Many of the removed materials were recycled and reused in the new construction. A result of this building rebirth was the he beginning of the revitalization of the north end of town.